sheep | Let their light shine! 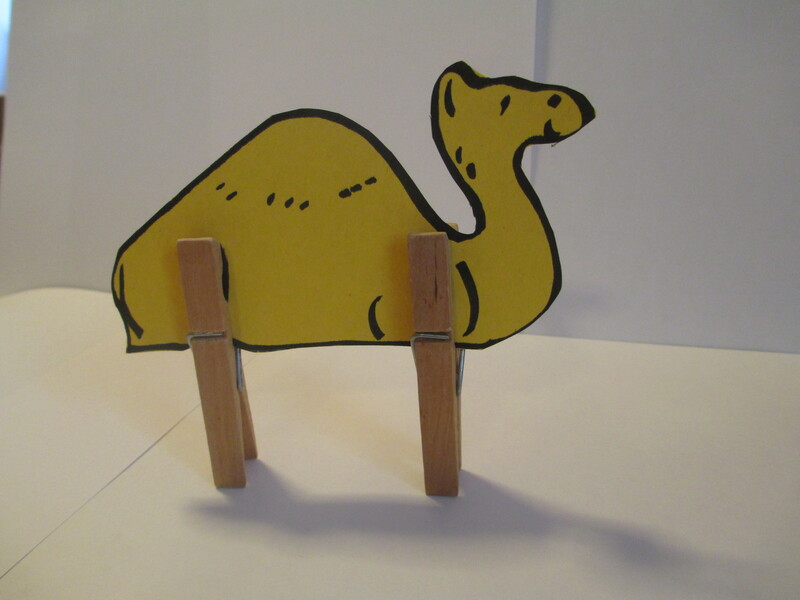 to add something to the telling of the Christmas story – add sheep and camels that stand up on pegs for legs. 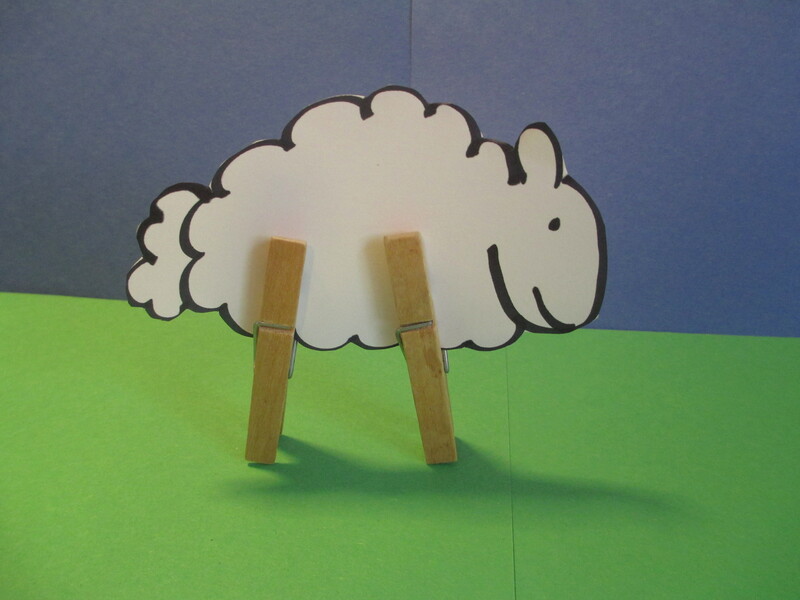 Draw a simple camel or sheep (without legs!) on to card and cut out. Add the pegs. You could also do this as a craft activity – just be careful with the pegs. Over the next three weeks our Bible stories at Toddler group will be about ‘Lost Things’. we start with the story Jesus told about the Lost Sheep from Luke 15:1-7. We will be referring to ‘lots of sheep’ rather than using large numbers – 99 and 100, which don’t mean much if you are under 3 years old. There is a simple craft. 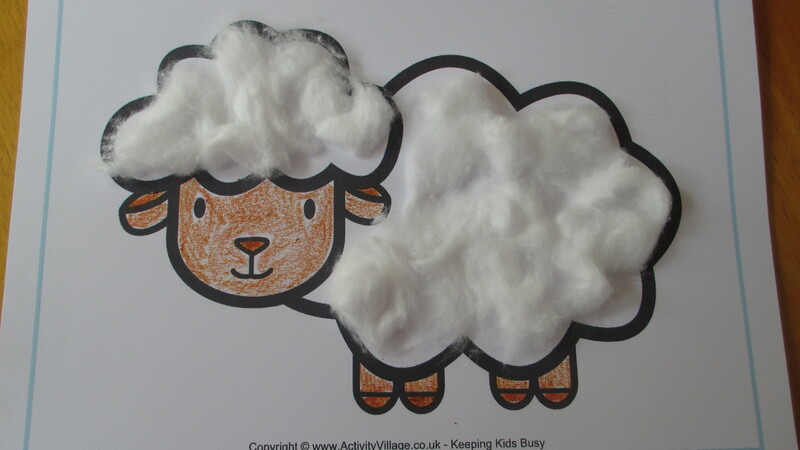 The sheep worksheet is from Activityvillage (link above). The children can add cotton wool and colour with wax crayons. I sometimes limit the choice of colours, but on other occasions I may be quite happy with multi-coloured sheep! Here’s a link to the other post about The lost Sheep. Start with a simple sheep picture. This one was from microsoft but you could draw your own. Print out enough for one word per sheep and the bible reference. I used card so I could decorate each sheep with cotton wool. Write on the verse or print out the words and stick them on. You could attach velcro to the back to stick to a flannel board or magnets for a white board or blue tac. To introduce the verse to the children (ages 5-10ish) hide the sheep around the room (before the children arrive). Explain that your sheep have wandered off – gone astray- and everyone needs to find them. As the sheep are found place on the board or wall in the correct order. Once they are all there say the verse together a few times. Show the children where it is found in the bible. To help the children learn the verse say a few more times removing a sheep each time. Explain that we are like sheep – we want to go our own way rather than God’s way. Craft idea – give each child a sheep and get them to write the verse in the centre (you could do this for younger ones or reluctant writers). Have glue and cotton wool and coloured pens/crayons to decorate.